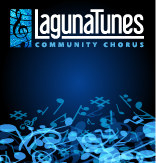 LagunaTunes accepts new members at the beginning of each session. Our Fall session began September 9th and we are no longer accepting new members. Our Spring Session begins February 3, Please fill out the form below and submit by February 1 to join our Spring Session. We typically meet once a week on Mondays with some Saturday rehearsals and/or pot luck events. We meet at Thurston Middle School, 2100 Park Avenue in the Band Room. There is a membership fee to defer the costs of music and concert promotion costs. Each group (Large and Small Ensemble) has a separate fee, there is a discount if you join both. The Large Ensemble is a no-audition group, the Small Ensemble does require an audition. For Small Ensemble audition information please contact us or fill out the form below. Your donation will help support our annual community concerts. Thank you for donating to LagunaTunes. If you would like to donate more than $25, simply change the quantity to add more to your donation in multiples of $25.